The first time I came to Pakistan, I was taken aback at how good some of the infrastructure was. The airports at Karachi and Lahore were small, but they were efficient and well designed. I think my host told me the Japanese had built one or both of them, and those airports were a very different thing from the ones I had just taken off from in India. This was when the government made the airports and as with all things the Indian government takes up, our airports were clumsy and barely functional. But a few years later this changed. Today the airports at Mumbai, Delhi and Bangalore are pretty good. They’re not world class (nothing in India can ever be), but they are not embarrassing as the earlier ones were. The differences that I had thought were significant turned out not to be so. This led me to think of how similar we were as nations. Not in the sense that Mohd Ali Jinnah meant. I think it is fairly obvious that the character of India and of Pakistan is different when we observe their constitutions. India’s secularism is fundamentally Hindu in its nature. Pakistans constitution is Islamic by design and in appearance. Though this is an important aspect of nationhood, however, it is only one aspect. What I mean is how we are one nation in all the negative aspects. Our neighbourhoods and streets are among the most shameful in the world, because we are selfish and blind to the concern of others. Delhi’s drivers are as terrible as those in Lahore (and the women of Delhi and Lahore would concur on the behaviour of the loutish men of those cities). Half of us are illiterate and the half who are literate don’t really read much. The comments sections of Indian and Pakistani websites are the most dreadful in the world, without qualification. Hateful and pedantic, the product of minds who are only functionally literate. We think time will bring some big change in our society but it isn’t easy to see where this change is going to come from. I know of few other nations where people would not be embarrassed at the thought of keeping servants. Few cultures would be so unaffected, so uncaring of privacy to not mind the constant presence of the servant in the house. I am not even talking about the bestial manner in which we treat them, because every reader of this piece, whether Indian or Pakistani already knows what I mean. We divide ourselves into nations based on things like which animal the other eats or does not eat. The outsider probably sees no difference between us, and rightly. We produce very little of meaning to the outside world, and it is tough to think of what our contribution is to the nations from whom we take so much. In science and technology we have nothing to offer the West, despite the boasts of Indians that we gave the world Arabic numerals and zero (I agree with that; we have given the world zero). Pakistanis stake claim to Islams golden age. Daily Jang columnist Hassan Nisar often takes up this point. He says that the Arabs laugh when Pakistanis owns Islams achievements. What aspect of the conquest of Spain or the scientific revolution in Baghdad did Punjabis and Sindhis participate in? To the world we are one people in that sense. My friend Col Iftikhar, from Musharrafs batch in the Pakistan Military Academy, said he discovered this horrifying fact when he went to Mecca a few decades ago for Haj. He met some Saudis, one of whom asked him where he was from. Lahore, said Ifti. Where’s that, the Saudi asked (this was in the 70s). Pakistan, said Ifti proudly. Where’s that, the puzzled Saudi asked. Ifti took out a map and pointed. Ah, said the Saudi to his friends, he’s Hindi. Our problems are so primitive that they should make us stop and repair ourselves immediately. But they don’t seem to affect us at all. Our media carry on like we are normal people. Reading the militant bombast of the strategic affairs experts in the newspapers of these two nations, the outsider would never suspect that these were two nations unable to even keep their public toilets clean. India announced Thursday that it had successfully test launched a new nuclear-capable missile that would give it, for the first time, the capability of striking the major Chinese cities of Beijing and Shanghai. The government has hailed the Agni-V missile, with a range of 5,000 kilometers (3,100 miles), as a major boost to its efforts to counter China’s regional dominance and become an Asian power in its own right. The head of India’s Defense Research and Development Organization, Vijay Saraswat, said the missile was launched at 8:07 a.m. from Wheeler Island off India’s east coast. It rose to an altitude of more than 600 kilometers (370 miles), its three stages worked properly and its payload was deployed as planned, he told Times Now news channel. “India has emerged from this launch as a major missile power,” he said. The window for the launch opened Wednesday night, but the test had to be postponed because of weather conditions. Avinash Chandra, mission director for the test, said that when the launch took place Thursday morning the missile performed as planned. “We have achieved exactly what we wanted to achieve in this mission,” he told Times Now. The Agni-V is a solid-fuel, three-stage missile designed to carry a 1.5-ton nuclear warhead. It stands 17.5 meters (57 feet) tall, has a launch weight of 50 tons and was built at a reported cost of 25 billion rupees ($486 million). It can be moved across the country by road or rail and can be used to carry multiple warheads or to launch satellites into orbit. The missile will need four or five more trials before it can be inducted into India’s arsenal at some point in 2014 or 2015, Indian officials said. China is far ahead of India in the missile race, with intercontinental ballistic missiles capable of reaching anywhere in India. 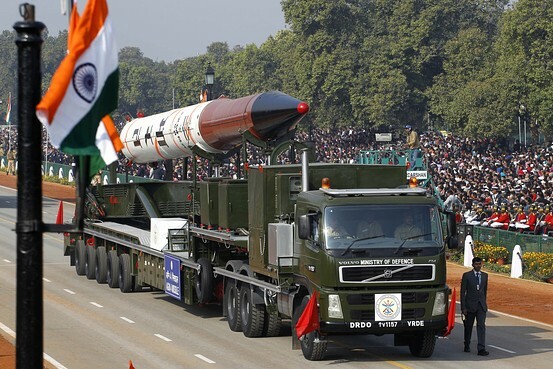 Currently, the longest-range Indian missile, the Agni-III, has a range of only 3,500 kilometers (2,100 miles) and falls short of many major Chinese cities. India hailed Thursday’s test as a major step in its fight to be seen as a world power. “India has today become a nation with the capability to develop, produce, build long-range ballistic missiles and today we are among the six countries who have this capability,” Saraswat said. India and China fought a war in 1962 and continue to nurse a border dispute. India has also been suspicious of Beijing’s efforts to increase its influence in the Indian Ocean in recent years. “While China doesn’t really consider India any kind of a threat or any kind of a rival, India definitely doesn’t think in the same way,” said Rahul Bedi, a defense analyst in New Delhi. India already has the capability of hitting anywhere inside archrival Pakistan, but has engaged in a splurge of defense spending in recent years to counter the perceived Chinese threat. The Indian navy took command of a Russian nuclear submarine earlier this year, and India is expected to take delivery of a retrofitted Soviet-built aircraft carrier soon. The new Agni, named for the Hindi word for fire, is part of this military buildup and was designed to hit deep inside China, Bedi said. Government officials said the missile should not be seen as a threat. The test came days after North Korea‘s failed long-range rocket launch. North Korea said the rocket was launched to put a satellite into space, but the U.S. and other countries said it was a cover for testing long-range missile technology. One Delhi-based Western diplomat dismissed comparisons with the international condemnation of North Korea’s launch, saying that Pyongyang was violating U.N. Security Council resolutions requiring it to suspend its missile program, while India is not considered a global threat. The diplomat spoke on condition of anonymity because he was not authorized to comment on India’s security affairs. In Washington, State Department spokesman Mark Toner said the United States urges all nuclear-capable states to exercise restraint regarding nuclear capabilities. Some reports characterized the Agni-V as an intercontinental ballistic missile — which would make India one of the few countries to have that capability — but Gupta and analysts said its range fell short of that category. India has no need for such sophisticated weapons, said Rajaram Nagappa, a missile expert and the head of the International Strategic and Security Studies Program at the National Institute of Advanced Studies in Bangalore. “I don’t think our threat perceptions are anything beyond this region,” he said. Two months before President Asif Zardari’s unexpected visit to India, a newly formed political alliance, the Council to Defend Pakistan, unveiled its slogan. “What is our relationship with India?” it asked. And then in a rickety Urdu rhyme it answered: of hatred, of revenge. The council is an alliance between recovering jihadists, some one-person political parties and the kind of sectarian organisations whose declared aim is that Pakistan cannot fulfil its destiny until every single Shia has been killed or expelled from the country. The council is not likely to have much impact on Pakistan’s electoral politics, but it is a clear reminder that there are strong forces within the country, which want a return to the days when India was Pakistan’s enemy No 1. Back then all you had to do to malign a Pakistani politician was to somehow prove that they were soft on India. Things have changed. When President Zardari went to India, his bitter political enemy and the opposition leader Nawaz Sharif welcomed the visit. President Zardari’s visit on the one hand was a reminder that India is right next door. If you plan carefully, you can do a day trip, have lunch, visit a shrine and make the correct, polite noises that visitors make about their future intentions. But the president’s visit was also set against a reminder that India and Pakistan have raised their animosity to a brutal art form. 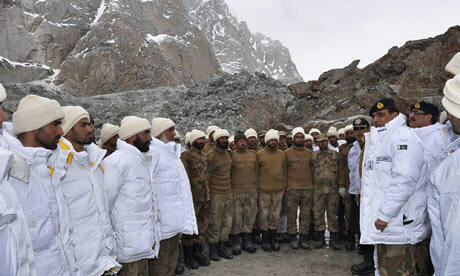 As the president’s plane landed in Delhi, rescue workers were trying to reach the Siachen glacier, where more than 120 Pakistani soldiers had been buried after an avalanche obliterated their military post. 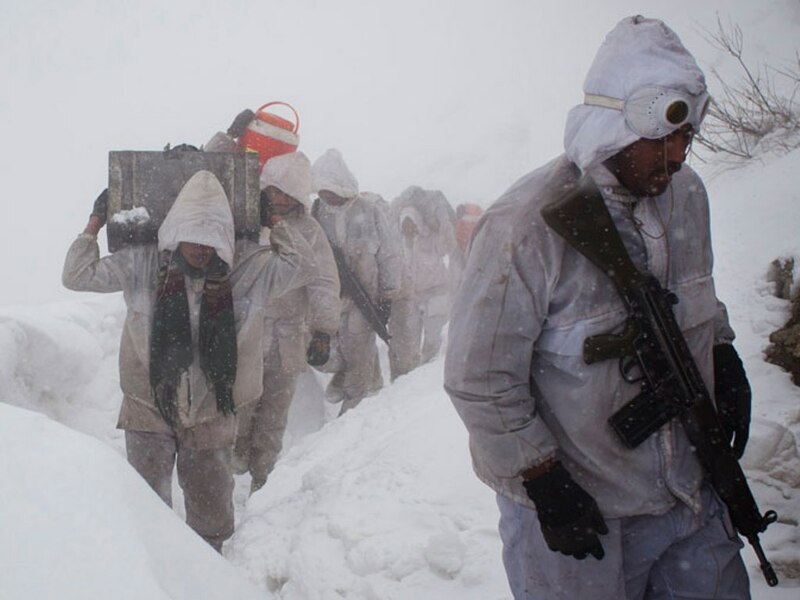 Siachen is often proclaimed the world’s highest battlefront – as if it’s a Guinness world record and not a monument to our mutual stupidity. As I write this, not a single survivor or body has been found. India offered help in rescue efforts. Pakistan politely declined, because that would compromise its military posts. President Zardari’s visit was billed as a private one, but the pageantry surrounding it was state-visit like, complete with dozens of cameras broadcasting empty skies where the presidential plane was about to appear. And, of course, the media had scooped the menu for the state lunch a day in advance. Did the visit achieve anything? An 80-year-old Pakistani prisoner in an Indian jail was released on bail. The leaders’ sons and probable heirs – Bilawal Bhutto Zardari and Rahul Gandhi – got to hang out. There are peaceniks on both sides who have held endless candlelit vigils on the borders. They would like the borders to melt away, for all of us to come together in a giant hug and live happily ever after just like we did in a mythical past when we were all either little Gandhis or sufis and got along fine. There is another minority on both sides that would like us to live permanently in the nightmare that was partition. There are Pakistani groups who want to raise the green flag over the Red Fort in Delhi, and there are Indian hawks who go to sleep thinking of new ways to teach this pesky little country a lesson. But the vast majority – and given the size of population and ethnic diversity, that majority is really vast – would just be happy with cheaper onions from across the border. There is another kind of coming together: Pakistani writers and artists can attend both Indian and Pakistani literary festivals and art expos, and although it’s great that they can peddle their wares to a curious audience, the rest of the population are denied that privilege. A Punjabi farmer, for example, can’t sell his often perishable produce in India, a couple of hours away, but is forced to transport it a thousand miles to southern Pakistan. If India and Pakistan could take tiny steps which weren’t just meant for the rulers and cultural tourists, it might make some difference. For instance, if there were only a couple of thousand Pakistani and Indian students studying in each others’ countries, the appetite for a war rhetoric might wane. At the moment it can’t happen because the security establishment fear infiltration. The same establishment forget that infiltrators usually don’t apply for a visa, and no suspects so far have been to an IT school in Bangalore or an arts college in Lahore. 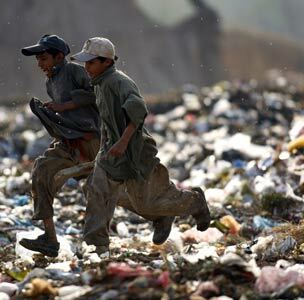 I mention education because one in 10 children who doesn’t go to school lives in Pakistan. One in three children in the world who is malnourished lives in India. And these countries insist on sending young men to a frontline where there is no war, where there is nothing to fight over, and where 4,000 soldiers have died, mostly because it’s just too cold. Tens of thousands return with serious mental ailments because it’s so lonely and depressing. Twenty three years ago a withdrawal agreement had been agreed upon, but according to Indian defence analyst Srikant Rao, the then Indian prime minister Rajiv Gandhi backed out because withdrawing troops wouldn’t look very good in pictures. Well, troops buried under miles of snow don’t look very good either. If India and Pakistan can’t leave each other alone, they should at least leave those mountains alone. The authorities in Indian-administered Kashmir have launched more than 400 cases of alleged human rights abuses against security forces personnel. The region’s minister for internal security released the figures in the Jammu and Kashmir legislative assembly. Kashmiri officials want to revoke the Armed Forces Special Powers Act, which prevents prosecution of security staff. There has been a rebellion against Indian rule in divided Kashmir, which is also claimed by Pakistan. Thousands of people have been killed in the region since the rebellion began in 1989, though violence has dropped off recently. India’s defence ministry has resisted moves to revoke the Armed Forces Special Powers Act (AFSPA). 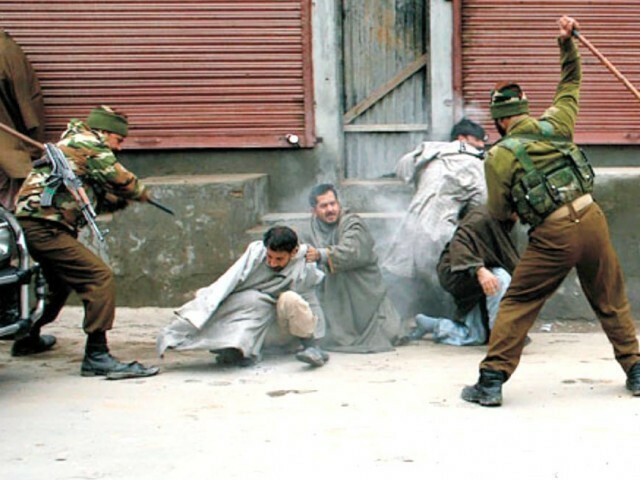 According to the state government of Indian-administered Kashmir, 444 soldiers, police and security officials have been charged in the past three years. Nearly 300 cases have been seen in local courts, the government said on Monday in a written response to the Jammu and Kashmir assembly. Human rights activists say the Indian authorities are forcing the Kashmir government to move slowly on these cases. Kashmiri officials have been pleading with Delhi to scrap the AFSPA so they can proceed with prosecuting security officials against whom cases are pending. But army officials say it is needed to prevent militant groups based in Pakistan from focusing their resources on Kashmir. Nearly ten years after the terrorist attacks of September 11, 2001, and the commencement of the US-led war in Afghanistan, the alliance between the US and Pakistan is on shaky ground. The killing of Osama bin Laden by US special forces this May in Abbottabad, Pakistan, has incensed officials on both sides: on the American side because bin Laden’s hiding place appears to suggest Pakistani perfidy; and on the Pakistani side because the US raid humiliatingly violated Pakistan’s sovereignty. As Ted Poe, a Republican congressman on the House Foreign Affairs Committee, puts it: “Unless the State Department can certify to Congress that Pakistan was not harboring America’s number one enemy, Pakistan should not receive one more cent of American funding.” Dramatic words,1 for Pakistan has been allocated quite a few cents of American funding. Yet this money has bought little love. According to the Pew Global Attitudes Project, only 12 percent of Pakistanis have a favorable opinion of the United States, and only 8 percent would like to see US troops “stay in Afghanistan until the situation has stabilized.” Why might this be the case? The past decade has been devastating for Pakistan. The country’s annual death toll from terrorist attacks rose from 164 in 2003 to 3,318 in 2009, a level exceeding the number of Americans killed on September 11. Some 35,000 Pakistanis, including 3,500 members of security forces, have died in terror and counterterror violence. Millions more have been displaced by fighting. It is difficult to convey how profoundly the country has been wounded. In 1989, my Lahore American School classmates and I (including children from Pakistan, America, Canada, Sweden, Germany, and Korea) were able to go to the beautiful valley of Swat by bus for a weeklong field trip with no security arrangements whatsoever. In 2009, the battle to retake Swat from Taliban militants involved two full divisions of the Pakistani army and hundreds of casualties among Pakistani soldiers. (Similarly, until a few years ago, there had never been a suicide bombing in Lahore. Now one occurs every three or four months.) The Pakistani government puts direct and indirect economic losses from terrorism over the last ten years at $68 billion. Pakistan is a large country, with a population of 180 million and a GDP of $175 billion. Average annual US economic assistance comes to less than 0.3 percent of Pakistan’s current GDP, or $2.67 per Pakistani citizen. Here in Lahore, that’s the price of a six-inch personal-size pizza with no extra toppings from Pizza Hut. The alliance between the US and Pakistan is thus predominantly between the US and the Pakistani military. To enter the US as a Pakistani civilian “ally” now (a Herculean task, given ever-tighter visa restrictions) is to be subjected to hours of inane secondary screening upon arrival. (“Have you ever had combat training, sir?”) For a decade, meanwhile, successive civilian Pakistani finance ministers have gone to Washington reciting a mantra of “trade not aid.” They have been rebuffed, despite a WikiLeaked 2010 cable from the US embassy in Islamabad strongly supporting a free trade agreement with Pakistan and citing research showing that such an arrangement would likely create 1.4 million new jobs in Pakistan, increase Pakistani GDP growth by 1.5 percent per year, double inflows of foreign direct investment to Pakistan, and (because Pakistani exports would come largely from textile industries that US-based manufacturers are already exiting) have “no discernible impact” on future US employment. Perhaps the vast majority of Pakistanis with an unfavorable view of the United States simply believe their annual free pizza is not worth the price of a conflict that claims the lives of thousands of their fellow citizens each year. Pakistani journalist Zahid Hussain, in The Scorpion’s Tail, his examination of the rise of militants in Pakistan, makes clear that both sides of the alliance between the US and the Pakistani military share blame for the violence currently afflicting Pakistan. A long series of mutual policy missteps led to the present bloodshed. As Hussain reminds us, the US and the Pakistani military together backed the Afghanistan guerrilla campaign against the Soviet invasion in the 1980s, thereby bequeathing to the world unprecedented international networks of well-trained jihadist militants. For the US, as in its previous alliance with the Pakistani military in the 1950s and 1960s, the primary objective was to counter the Soviets. For the Pakistani military, as ever, the primary objective of the alliance was to lessen India’s superiority in conventional arms. The US gained a proxy fighting force in the form of the Afghan Mujahideen (literally: “people who do jihad”). The Pakistani military gained access to advanced US-made weapons, the most important of which were forty F-16 fighter aircraft: too few, obviously, to resist any full-blown Soviet air assault, but enough to strengthen meaningfully the Pakistan air force against its Indian rival. With the Soviet withdrawal, America turned abruptly away from the region and washed its hands of its militant cocreations; in the ensuing power vacuum Afghanistan descended into a bloody civil war among former Mujahideen. The US also severed its alliance with the Pakistani military, cutting off supplies of spare parts for Pakistan’s American weapons and withholding delivery of further F-16s that Pakistan had paid for but not yet received. The outraged Pakistani military was seriously weakened as a conventional fighting force vis-à-vis India. But it now, as Hussain shows, had enormous experience of projecting power through jihadist militants and two opportunities to continue doing so. One was in the Indian-controlled part of Kashmir (the divided Muslim-majority territory at the center of the Indian–Pakistani conflict, claimed in its entirety by both Hindu-majority India and Muslim-majority Pakistan), where an insurgency against Indian troops had broken out in 1989 following a disputed election. the jihadist movement in Pakistan was focused entirely on supporting the regional strategy of the Pakistani military establishment: to liberate Kashmir from India and install a Pashtun government in Afghanistan. By backing the Northern Alliance against the Taliban and then failing to include a meaningful representation of Pashtuns in a power-sharing deal in Kabul, the US not only sided with India in the Indian–Pakistani proxy war in Afghanistan, it also elevated a coalition of Afghanistan’s smaller ethnicities above its largest ethnic group, the Pashtuns. Conflict was inevitable, and since twice as many Pashtuns live in Pakistan as in Afghanistan, it was also inevitable that this conflict would spill over the border. The results for Pakistan were catastrophic. Over the following decade, as Hussain describes in detail, the Pakistani military’s attempts to separate “good” militants from “bad” foundered. Instead, strong networks developed between radical groups in Pakistan’s Punjabi east and those in its Pashtun west. With each move of the Pakistani military against them, the frequency and lethality of counterattacks by terrorists inside Pakistan, on both military and civilian targets, intensified. Pakistani casualties soared. Equally vital, it must be added, is a push toward political settlement between India and Pakistan over Kashmir. This simmering conflict fuels the Indian–Pakistani proxy war between the Northern Alliance and the Taliban in Afghanistan, encourages the Pakistani military’s embrace of militants, and helps subordinate Pakistani civilian governments to the Pakistani military (by allowing a near-perpetual state of security crisis to be maintained in Pakistan). The outlines of a deal on Kashmir were reportedly secretly agreed upon in 2007, but progress has been frozen since Musharraf’s fall from power in 2008 and the terrorist attacks on Mumbai that same year. As a presidential candidate, Barack Obama acknowledged Kashmir’s central role. “The most important thing we’re going to have to do with respect to Afghanistan is actually deal with Pakistan,” he said in October 2008. We should probably try to facilitate a better understanding between Pakistan and India, and try to resolve the Kashmir crisis so that they can stay focused not on India but on the situation with those militants. Once he was elected, however, talk of Kashmir and peace between India and Pakistan receded from President Obama’s official pronouncements, and he embarked upon an Afghanistan policy that might be described as “shoot first, talk later.” US drone strikes in Pakistan’s Pashtun belt intensified, with more—53—in 2009, Obama’s first year in office, than during the entire Bush administration—42—followed by a further sharp increase in 2010, to 118. This unmanned assault was accompanied by a tripling of US military manpower in Afghanistan, which in turn resulted in a fourfold increase in the American fatality rate, with more deaths there of US soldiers in twenty-nine months under Obama (974) than in eighty-seven months under Bush (630). I think what’s happened is that the [US–Pakistan] relationship has become more honest over time and that raises some differences that are real. And obviously the operation to take out Osama bin Laden created additional tensions, but I had always been very clear with Pakistan that if we ever found him and had a shot, that we would take it. We think that if Pakistan recognizes the threat to its sovereignty that comes out of the extremists in its midst, that there’s no reason why we can’t work cooperatively…. The tone of Obama’s underlying message to Pakistan is certainly much improved from that of the US in September 2001, when Deputy Secretary of State Richard Armitage reportedly told Pakistan to cooperate with the imminent US campaign in Afghanistan or be prepared to be bombed “back to the stone age.” But implicit in Obama’s words, and explicit in his actions, is a continued willingness to escalate US armed intervention in Pakistan should Pakistani cooperation prove insufficient. 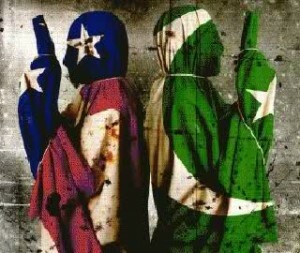 The alliance between the US and the Pakistani military remains, therefore, a relationship between parties viewing one another through gunsights. Each side blames the other for putting its citizens in grave danger, and each is correct to do so. A gunsight is not, however, the primary lens through which King’s College professor and former London Times journalist Anatol Lieven sees Pakistan. Quite the opposite: his Pakistan: A Hard Country, by far the most insightful survey of Pakistan I have read in recent years, reflects sensitivity and considerable, if clear-eyed, affection. Lieven has traveled extensively through Pakistan (dismayingly atypical for a contemporary foreign commentator), exploring all of its provinces and speaking with Pakistanis from a very broad range of backgrounds. He has also immersed himself in written sources, including pertinent anthropological research produced over a period of some two hundred years. At the heart of Lieven’s account of Pakistan is kinship, pervasive networks of clans and biradiris (groups of extended kin) that he identifies as “the most important force in society,” usually far stronger than any competing religious, ethnic, or political cause. Several millennia of invasions, occupations, colonizations, and rule by self-interested states resulted in a “collective solidarity for interest and defense” based on kinship becoming paramount in the area that is Pakistan. It now, as Lieven points out, “is a cultural system so strong that it can persuade a father to kill a much-loved daughter, not even for having an affair or becoming pregnant, but for marrying outside her kinship group without permission.” Moreover it is enduring, having survived, for example, “more than half a century of transplantation of Pakistani immigrants to the very different climes of Britain.” It has done much the same in the far less dislocating shift to Pakistan’s cities, sustained, as in Britain, through constant replenishment by newly migrating kin from the countryside. The effects of kinship on Pakistani politics are profound. Most of Pakistan’s leading political parties are dynastic, including the Bhutto family’s PPP and the Sharif family’s PML-N; even individual members of parliament are often elected on the basis of clan alliances and support. Politics is therefore about patronage far more than ideology. Furthermore, the Pakistani state is relatively weak, collecting taxes that amount to less than 10 percent of GDP. As a consequence, Lieven notes, Pakistani governments follow a predictable pattern. They are elected (usually as coalitions, Pakistan’s many divisions making absolute majorities exceedingly rare) on general promises of higher living standards for the population and individual promises to particular politicians, families, and districts. The governments lack the resources to keep many of these promises (which are, in any case, often conflicting); their majorities ebb away; they lose power and await another turn. The role of religion in Pakistan, a source of much hand-wringing in policy think tanks, is similarly complex. As Lieven points out: “the Islam of the Pakistani masses contains very different traditions.” Moreover, unlike in Saudi Arabia or Iran, where an oil-bankrolled state has tried to impose one monolithic version of Islam, “the Pakistani state is too weak to achieve this even if it wanted to.” Lieven describes the theological divisions among Sunnis sustained by Pakistan’s clan and kinship diversity. The Ahl-e-Hadith, heavily influenced by Wahabism, loathe saintly traditions. The Deobandis may praise saints but object to worshiping them. The Barelvis, Pakistan’s most numerous (and “fissiparous”) school, tend to embrace the intercession of saints with God. Veneration of saints is also central to Pakistan’s Shias. Because saintliness can be inherited, the heads of Pakistan’s powerful landowning “pir families remain of immense political importance.” They can actively create bridges among religious groups and they serve as major bosses in several mainstream political parties, especially the “secular” PPP. Pakistan is in fact a great deal more like India—or India like Pakistan—than either country would wish to admit. If Pakistan were an Indian state, then in terms of development, order and per capita income it would find itself somewhere in the middle, considerably below Karnataka but considerably above Bihar. Lieven has evident sympathy for the Pakistani military (indeed there are points when, in referring to a uniformed ancestor who served during British rule in what is now Pakistan, one suspects Lieven may have his own feelings of kinship with the Pakistan army). But he is clear about the role the army has played in fomenting militancy, and about the deadly threat militants now pose to Pakistan, especially the potential for far worse bloodshed if the remaining militant groups that have not yet turned on the military and are therefore being kept “in existence ‘on the shelf ‘”—including Pashtun militants focused on Afghanistan and Punjabi militants focused on India—were to do so. Still, despite the ineffectiveness of much of the Pakistani state, he believes Pakistan’s kinship groups and its stabilizing and antireformist social structures give the country a combination of diversity and toughness that makes successful revolution highly unlikely. He also writes that the Pakistani army, as it demonstrated in the “brutal but in the end brutally effective” operation to liberate Swat from militant control in 2009, is fully capable of routing guerrillas who seize territory when it sets its mind to doing so. Lieven’s is a vital book, with much wisdom in its advice for the West. But equally importantly, this detailed and nuanced survey offers Pakistanis a mirror in which to look hard at their country and themselves. Pakistan’s resilience is bound up with its resistance to reform, yet reform will be essential for facing the great challenges ahead, including the potentially devastating impacts of climate change on a dry and overpopulated land that is dependent on a single river and its tributaries. Pakistanis, and above all members of Pakistan’s military, would do well finally to reject their country’s disastrous embrace of militants. Pakistan must urgently mend its relationships in its own neighborhood and refocus on taking care of itself. Time is not on its side. Pakistanis for Peace Editor’s Note– The views expressed in this article are the solely the opinions of the writer and although interesting, do not necessarily reflect nor represent the views of Pakistanis for Peace and or Manzer Munir.